The news that frequent CNBC guest Peter Yastrow of Yastrow Origer (and formerly with DT Trading) told CNBC that "We’re on the verge of a great, great depression. The [Federal Reserve] knows it" is going viral today. But this is not news to anyone who has been paying attention. As I pointed out Tuesday, billion dollar fund managers agree: the government never fixed the underlying economic problems, so we'll have another crash. The most recent rate of bank charge offs, which hit $45 billion in the past quarter, and have now reached a total of $116 billion, is at 3.4%,which is substantially higher than the 2.25% hit in 1932, before peaking at at 3.4% rate by 1934. 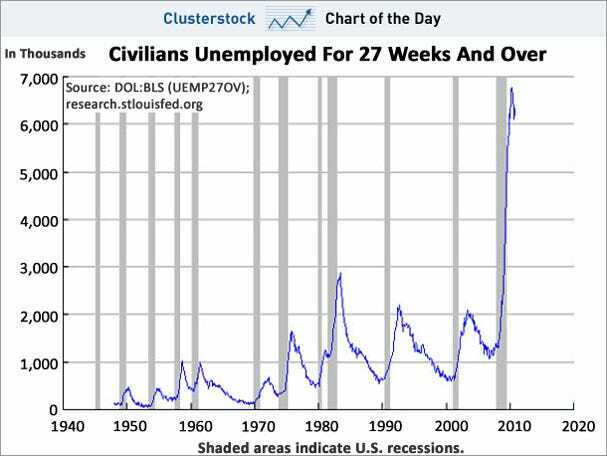 It is difficult to compare current unemployment with that during the Great Depression. 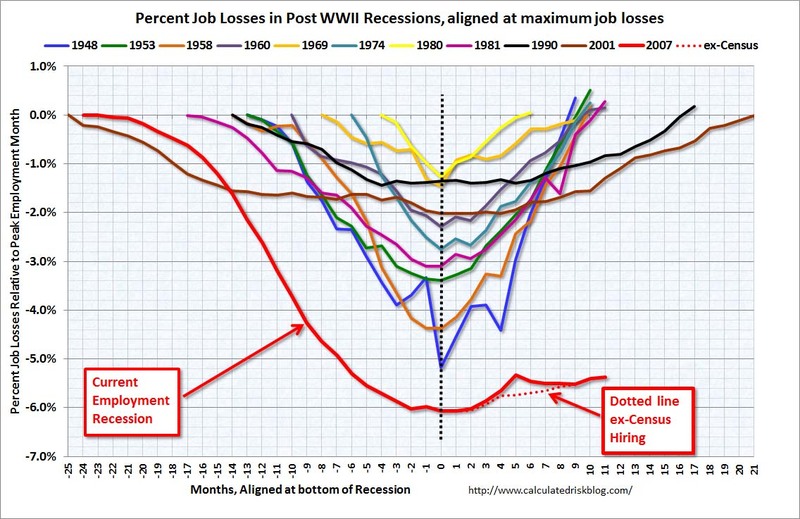 In the Depression, unemployment numbers weren't tracked very consistently, and the U-3 and U-6 statistics we use today weren't used back then. And statistical "adjustments" such as the "birth-death model" are being used today that wer en't used in the 1930s. As of the third quarter of 2009, the overall unemployment rate for native-born Americans is 9.5 percent; the U-6 measure shows it as 15.9percent.